Lined, faux suede material reducesmigration. 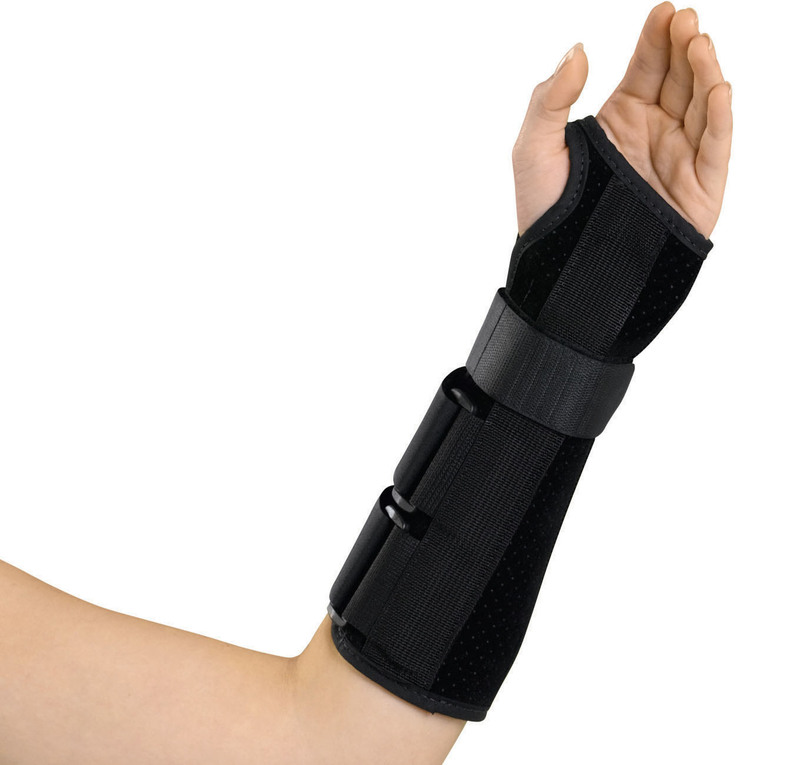 Circumferential wrist strap and two forearm straps forcompression and support. Splint does not extend beyond the palmercrease allowing full finger range-of-motion. Slip on design for ease ofapplication. Sewn-in dorsal and palmer stays for immobilization.